“The debt burden is so high, the Government does not have the capacity to revive the economy.” “Fiscal consolidation is underway to reduce the budget deficit.” “Public debt would be brought down to 70% of GDP by 2020.” These are some of the current sentiments, strategies and objectives which we have heard in the recent past. Currently what’s taking place is a high taxation policy with a view to increase Government revenue. We don’t find fault with increasing taxes to discourage import-based consumption. Sri Lanka’s consumption as a percentage of GDP is too high at close to 80%, whereas the newly-developed countries had it at a lower level of around 60%. However, currently the Government expenditure is also tightly controlled specially in terms of public investments (capital expenditure). The objective is to narrow the Government’s budget deficit. The less desired outcome of this strategy is seen in the GDP growth numbers. The economy is growing at an anaemic rate of under 4% as there is little stimulus by the Government. This is clearly not the kind of growth that could take Sri Lanka towards “Developed” state. Recently developed countries such as Taiwan and South Korea grew around 8-9% p.a. on average for around three decades to reach the current state. 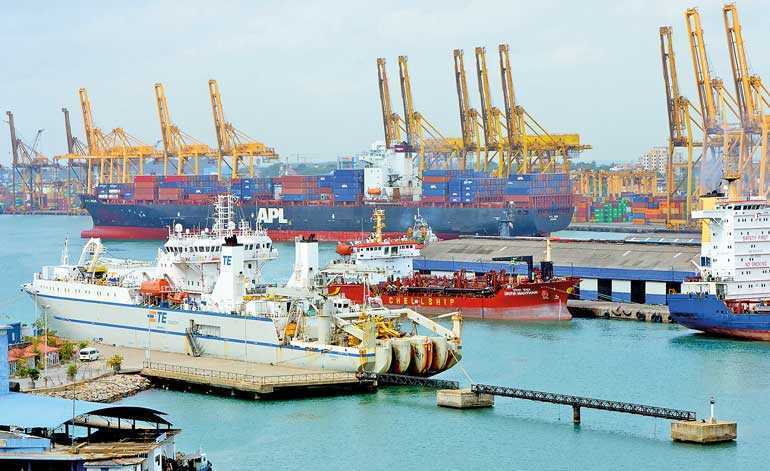 The public investments and/or tax concessions should be extended to boost the segments that could drive Sri Lanka’s growth and boost per capita income in a sustainable manner in the coming decades. This could be in the form of developing universities or developing the labour force with the right set of skills for the focus sectors. It could also be to acquire the necessary technologies from the economies that are more advanced than us. It could also be to uncover export markets for the products and services offered by our SMEs. That’s why the Government should not be focused on reducing the budget deficit at this point in time and it should remain at around 6-7% of GDP (rather than attempting to reduce to 3-4% of GDP). Similarly the debt to GDP could also be retained around 80-85% (rather than trying to bring it down). As we have enough and more experiences of distressed finance companies, we are well aware of the outcry of the frustrated depositors – “give our money back!” However no investor would be willing to invest in a distressed finance company, if the depositors have to be repaid upfront. The simple reason is the investor’s return on investment would be so much less if he has to make a substantial initial outlay to settle the depositors. The challenge for the shareholders and directors of the finance company is to convince the depositors to be patient until the company turns around by utilising the funds of new investors and by adopting prudent business strategies. The depositors could be repaid gradually with a satisfactory return thereafter. This comparison, although not perfect, is an insightful reflection of where Sri Lanka is now. Sri Lanka is similar to the distressed finance company, while IMF which is advising a fiscal consolidation to reduce budget deficit and reduce the debt position is similar to the depositors who are demanding their money immediately. The Government, which is equivalent to the directors of the finance company, need to convince the IMF that the country first needs to embark on a path of sustainable strong growth and once the country progresses, the debt burden could be reduced gradually. The people of this country, the equivalent to the shareholders of the finance company would rely on the Government to look after their interests. As much as the depositors could not be faulted for demanding their money immediately, IMF also could not be criticised for advising a fiscal consolidation strategy. The lenders are just interested in ensuring that their funds are returned safely. Even in the corporate world, the successful businesses and entrepreneurs would compile their business plans and would dictate terms to the lenders. The lenders do not prepare the business plans for the companies, simply because they may not have the business know how or be aware of the competitive advantages the company would possess. Similarly for a country, the development agenda should be compiled by the Government and not by the lending agencies. This is because the leaders of the country should know the competitive advantages of the country best and the lending agencies cannot be expected to know the exact circumstances of each country. A lending agency could only advise on the standard metrics they consider for any country. When a bank or a lending agency is convinced that the leadership has a sound strategy and the capability to implement it, it is unlikely to assert itself much and would probably let the strategy be implemented rather than disturb it. On the other hand, if the leaders seemingly do not have a sound plan or are incapable of implementing, the lending agencies are likely to be assertive and demand that debt repayment is given priority. Isn’t that sensible on the part of the lending agencies?